Feed-Safe is a safe haven for your smaller pet and its food. Most dog owners are completely unaware of the risks and frequency of collar strangulation accidents until it’s too late. Prevent needless strangulation injuries and deaths with the KeepSafe Break-Away Collar. 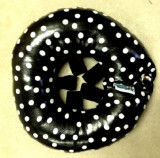 Puppy Bumpers is the perfect solution for anyone with a puppy or small dog that has a tendency of escaping. Sure, if you have a Great Dane, chances are he will not be able to fit through the slots of a wrought iron fence, but what about someone with a Maltese or puppy? Glow Pups high visibility Puppy Bumpers® make it easier to find your pup in the dark while keeping him inside the fence. Made of brightly colored safety fabric with additional reflective piping around the edge. Glow Pups shine with even the slightest light source. Glow Pups Puppy Bumpers® are machine washable and tumble dry low. All Puppy Bumpers are made in the USA. Rainy Day Puppy Bumpers® are made with water-resistant material and a polyester coating. 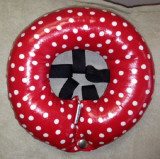 Rainy Day Puppy Bumpers® are terrific in rain, mud and snow. They're just as effective as the other Puppy Bumpers® at keeping dogs from getting though fence or balcony rails. Rainy Day Puppy Bumpers® are stuffed with Polyester Fiberfill and can be wiped clean with a damp cloth. The Outward Hound Up & Out Lift Dog Harness in Black is the perfect way to get the travel-loving dog up into a tall truck or SUV. 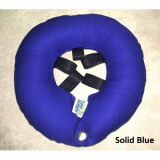 Great for assisting senior dog or dogs after surgery too. Gently wraps under dogs belly and pelvis and has sturdy hand hold grips for you. touch fastener closure so you can keep is on for a little wile and it doesn't slip off while you are trying to help your pup. Valentine Print - Once they are Gone they are Gone! Limited Edition Honey Bee Print - Once they are Gone they are Gone! Limited Edition Happy Bugs Print - Once they are Gone they are Gone! Limited Edition Daisy Print - Once they are Gone they are Gone! Red Dog Print -Puppy Bumpers is the perfect solution for anyone with a puppy or small dog that has a tendency of escaping. Sure, if you have a Great Dane, chances are he will not be able to fit through the slots of a wrought iron fence, but what about someone with a Maltese or puppy? Red Bandanna Print - Once they are Gone they are Gone! Limited Edition Black Cherry Print - Once they are Gone they are Gone! Stars & Ribbons Print - Once they are Gone they are Gone! Patriotic Puppy Print - Once they are Gone they are Gone! Limited Edition Black with White Paws - Once they are Gone they are Gone! 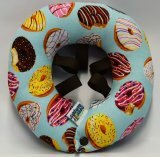 Tossed Donuts Print - Once they are Gone they are Gone! Limited Edition I Woof You Print - Once they are Gone they are Gone! Pink Paw Print - Once they are Gone they are Gone! Black with White Paw Print -Puppy Bumpers is the perfect solution for anyone with a puppy or small dog that has a tendency of escaping. Sure, if you have a Great Dane, chances are he will not be able to fit through the slots of a wrought iron fence, but what about someone with a Maltese or puppy? Limited Edition Shamrock Print - Once they are Gone they are Gone!